We provide coaching support through the challenges and transitions parents face beginning at birth through their children’s first seven years. In a competitive world awash in information it can be very helpful to have the support of someone who has raised children, has many years of experience working with young children and their families, and who brings a non-judgmental perspective to meet your family’s specific needs. First, we will ask in advance for a detailed description of what you would like to focus on, we will then arrange a time to come to your home and observe for up to two hours. Then, we schedule a time to meet with both parents and talk about our observations and provide support and recommendations. 2) This package is designed to support you through ongoing coaching supportas you change a specific aspect of your parenting. We will schedule a regular visit, weekly often works best, for an hour or more to listen and offer our observation, support and recommendations. Dianne Bearinger brings many years of experience with parents and young children to her work as a consultant. She taught the Nursery Class at Charlottesville Waldorf School for a decade before her own children were born. During this time, in addition to her class teaching, she focused on parent education and wrote many articles describing the Waldorf approach to parenting and home life. With her own children she helped form an active Waldorf based Home school group. Her son and daughter are currently both successful students at Virginia Tech. Dianne currently teachers the Parent-Child Class at the Waldorf School, in addition to her work as a Postpartum Doula, Parent Consultant and Coach. Cynthia Jordan Fisher is an AMI certified Montessori Assistant to Infancy (since 1985) who assists mothers with newborns in the home and infants and toddlers in the community. She is also a DONA certified Postpartum Doula (certified 2007). Cynthia has worked as a Child Development Specialist supporting families at risk (1989-1993). 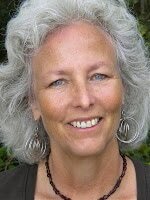 She has taught Montessori based parent child classes (since 1995) and preschool and toddlers (since 2003).